We believe that improving the layout of workplace and storage locations makes a significant contribution to the results of any enterprise and also benefits the well-being of its staff members. At JekaShop, you will find the products that you need for this. We sell and produce equipment solutions that make the layout of storage and production locations more efficient, safer, and cost effective. JekaShop was created to serve as Jeka’s online shop. Jeka continues to produce floor markings and solutions for other location markers, such as warehouse signs, shelving labels, and floor labels. Furthermore, Jeka is also the place for customised solutions and advice involving location markers and floor markings. Contact us. The web shop was developed for the purpose of delivering Jeka products directly to users. Since then, the product range has come to include many different types of items. As a result, JekaShop now offers floor tape, safety mirrors, impact protection, platform ladders, internal transportation equipment, and mailing bags as well. What these items have in common is that they can all be used to help logistical processes run more safely and effectively. Jeka was founded in 1980 in Nijmegen, The Netherlands by John Kusters. Since then, Jeka has evolved into an international specialist in the field of floor marking and location markers. In 2011, Kusters sold his business to the current board of directors. Under this new leadership, Jeka has continued to strengthen its position in its target markets. We strive to enable our clients to set up business processes that are safer and more effective. We believe that this includes products that are durable in use and can be implemented flexibly. In keeping with this line of thought, Jeka’s production is centred around four product groups: Floor Marking, Location Signs, Location Labels for Floors, and Location Labels for Shelves. The products are produced in the factory in The Netherlands and partly by the “social enterprise” BlueView. Are you curious to see what our products look like in real life? Request a free sample pack! In 2012, Jeka began selling its products online via the JekaShops. As of today, there are dedicated web shops in 15 countries and 12 different languages. Jeka products can still be purchased online directly from the factory, but the range of products has been expanded to also include items from other producers that contribute to the effectiveness in the warehouse or other workspaces. When making our selections, we always consider whether products reflect our product philosophy. For a long time, Jeka was housed in the old Splendorfabriek on St. Annastraat in Nijmegen. 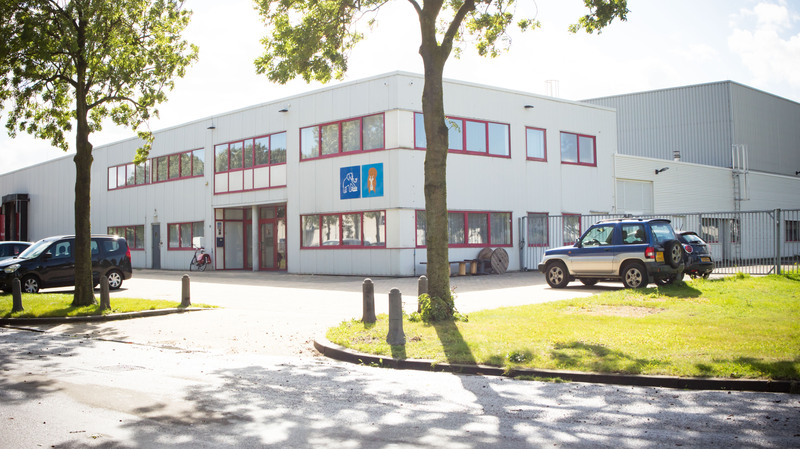 In mid-2017, Jeka, along with its sister company Record Industrie, moved to a more spacious building in the Schoenaker business park in Beuningen, The Netherlands. Jeka also has a branch in Long Beach, California. Jeka employs a total of sixteen people. Click on the respective links for more information about payment, delivery, or returns. If you have a question you wish to ask us directly, please contact us by phone, e-mail or chat; we are happy to hear from you.